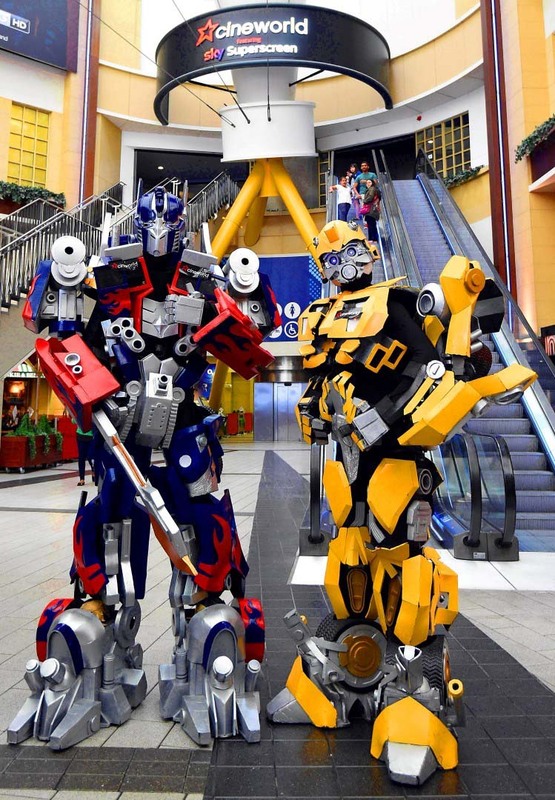 To celebrate the arrival of the much anticipated Transformers: Age of Extinction film, Cineworld, the UK’s leading cinema, put on a surprise performance for eager fans ahead of the first screening, with two oversized Transformers taking over The O2 Cineworld on Saturday 5 July 2014. The unexpected appearance, which included the Optimus Prime and Bumblebee characters, astounded and amazed cinema-goers who had booked to see the latest offering from the popular franchise. 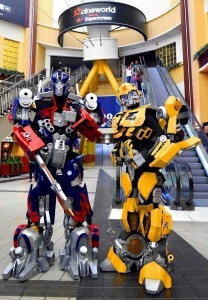 The seven foot tall Transformers were sat in the screen waiting for the Cineworld customers to enter and after the initial surprise, they posed for photos with fans and made full use of the cinema’s facilities as they attempted to help themselves to pop-corn, sweets and ice-cream! To book tickets for Transformers: Age of Extinction at Cineworld cinemas nationwide, visit www.cineworld.com.